The international English-speaking Church in Genoa, Italy welcomes those whom God is calling to join us. Every Sunday at 10:30a.m. people of all ages, from many backgrounds and from different countries around the world, meet together here. The Church belongs to the Diocese in Europe, part of the Province of Canterbury which links us to the Episcopal Church in the USA and to the whole world-wide Anglican Communion. Every Sunday at 10:30a.m. 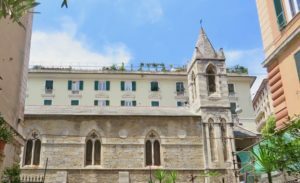 Siamo qui per tutti gli Anglicani di ogni Chiesa nella Comunione Anglicana che si trovano in questa zona d’Italia. Se abitate a Genova o nelle vicinanze, oppure siete qui per poco tempo, venite a trovarci e troverete un’accoglienza calorosa da parte di tutta la comunità! Ogni Domenica 10:30 – la lingua usata è inglese. 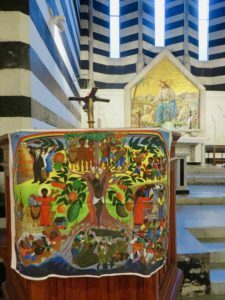 The English-speaking Church in Genoa, Italy welcomes those whom God is calling to join us. Every Sunday at 10:30am. people of all ages, from many backgrounds and from different countries around the world, meet together here. The Church of the Holy Ghost Genoa, Italy, Proudly powered by WordPress.